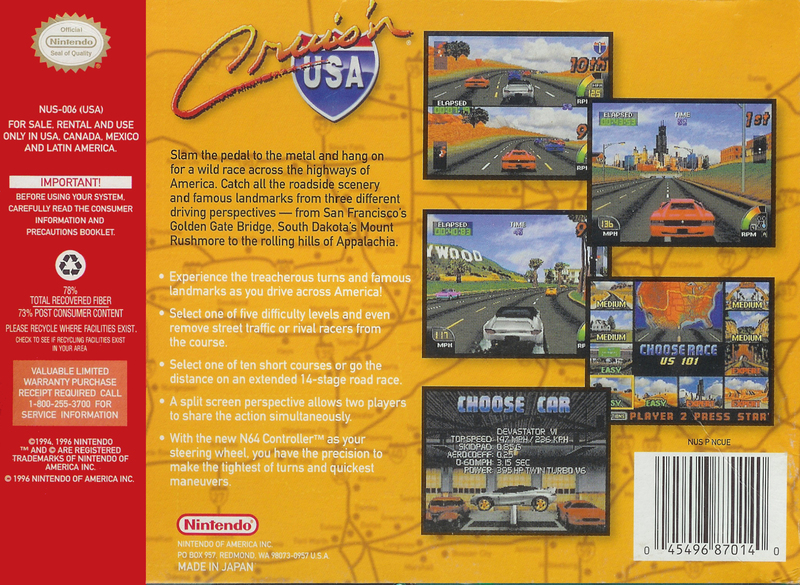 Краткое описание: Slam the pedal to the metal and hang on for a wild race across the highways of America. Catch tall the roadside scenery and famous landmarks from three different driving perspectives -- from San Francisco's Golden Gate Bridge, South Dakota's Mount Rushmore to the rolling hills of Appalachia. 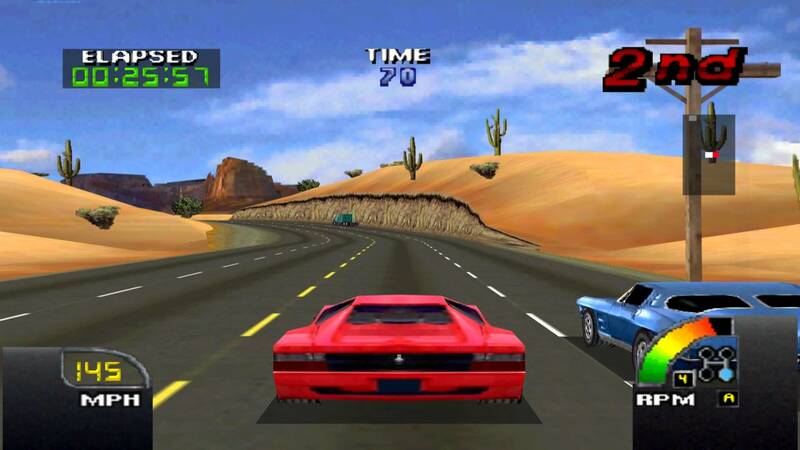 Select one of five difficulty levels and even remove street traffic or rivel racers from the course. Select one of ten short courses or go the distance on an textended 14-stage road race. With the N64 Controller as your steering wheel,you have the precision to make the tightest of turns and quickest maneuvers. There's no better way to experience the excitement of cross-country racing! 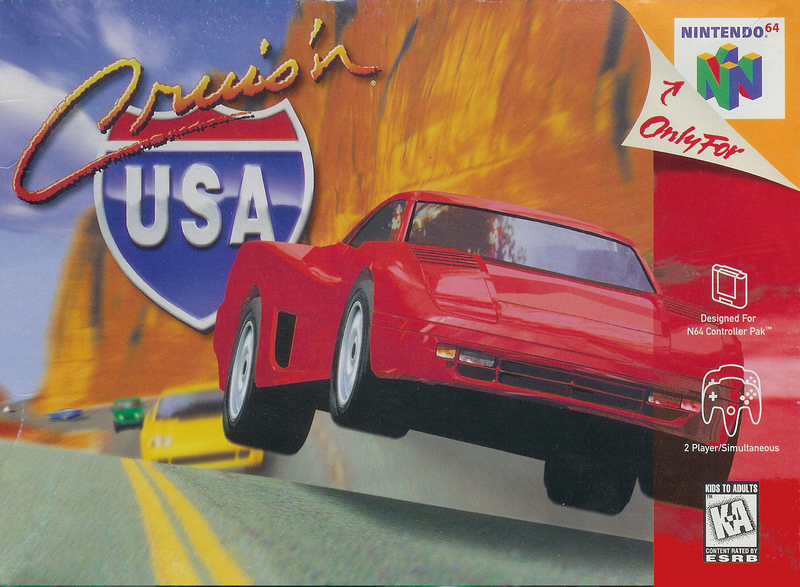 Slam the pedal to the metal and hang on for a wild race across the highways of America. 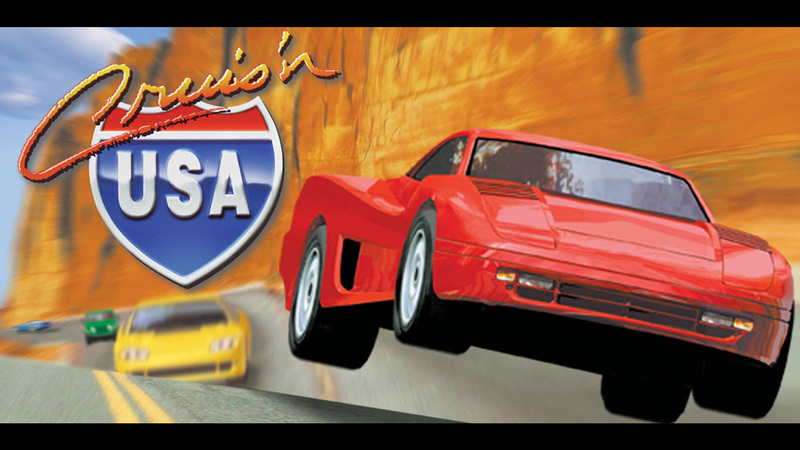 Catch tall the roadside scenery and famous landmarks from three different driving perspectives -- from San Francisco's Golden Gate Bridge, South Dakota's Mount Rushmore to the rolling hills of Appalachia. There's no better way to experience the excitement of cross-country racing!